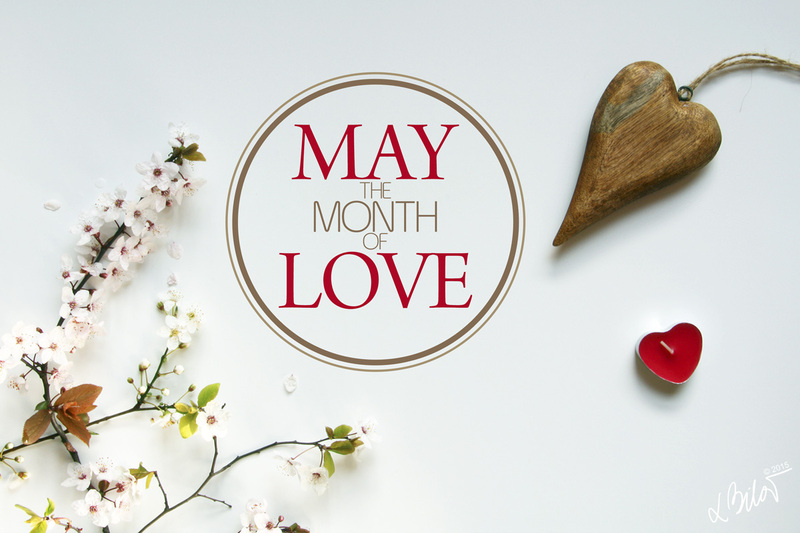 May is known as the month of Poetry & Love. For me its a very special month for so many reasons. After crazy April a real spring comes in May, a beautiful month full of sun & blossoms. Days are longer, sun is warmer and a wind softer. Everything eagerly trembles in the hope of a great summer days! I love May, its full of fresh air and enthusiastic promises. History facts: What should you do? Write the name of a person of your desire on a piece of paper. Sit under the cherry blossom tree over night (on 1st May) and visualise the one whom you love. Piece of paper should be buried in the ground under a cherry tree. A powerful magical tree may fulfill your wishes, of course, only if the other party is interested in you too. Alternatively, if you already have your beloved, the kiss under beautiful blooming tree will multiply your love. Repeating every year is essential of course. Old stories are describing 1st May as a special magical day when witches and wizards performed their magic. Love is known as the strongest phenomena in this world and the only thing that has a power to break any spell or curse. We should never stop believing in the strong magical power of love. So why not to try a kissing tradition under the blooming cherry tree? If nothing else – its can be great fun. Also called – International Labor day or May Day, celebrates laborers and working classes. There use to be massive celebrations and marches in all of USSR’s cities. All workers and students came and join the crowd to wave with a flowers and flags, to sing and applause to those empty political speeches. Speeches about how great is our economy doing and how bright is our future… It was a great, expensive, powerful show but most of all a brainwash. Growing up in Soviet union was all about celebration how great everything is… Read Wiki to find out more about this international day. However I identify my self with different kind of celebration on this day – with an actual WORK. I like to celebrate this day by finishing projects or with starting something new. I think that work should be celebrated with one. Especially if you love what you do. That’s why it was so important for me to launch this blog today. From now-one I have one more thing to celebrate on 1st May – birthday of my baby FFFF Blog, which is a perfect combination of my work and hobby. Apart from the fab weather this month was a time of change and hope for me. 1st May 2011 – I moved to London after 4 great unforgettable years in Prague. Moving to LUK didn’t bring my soul a piece and quiet, which I crave the most! But expect that from one of the busiest metropolitan cities in the world, would be fullish I guess. It’s a city for Work & Fun, so that is what I do here. Many of my great friends and my father were born in this beautiful spring month. They are very special people with a great positive energy around them. My best happy birthday wishes to my friend Lucy B. today on 1st of May, and in 27 days to the one of the best men in the world – the man I own my life and so much more – my father Mykola Bil, artist and painter. Karel Hynek Mácha (1810-1836) was a Czech romantic poet. He wrote a lyrical epic poem “Máj” (May), published in 1836 shortly before his death. Funny enough this poem was judged by his contemporaries as confusing, too individualistic, and not in harmony with the national ideas. “Máj” was rejected by publishers, and was published at Mácha’s own expense, not long before his early death. Mácha’s genius was discovered and glorified much later by the poets and novelists of the 1850s and “Máj” is now regarded as the classic work of Czech Romanticism and is considered one of the best Czech poems ever written. Find out more about this young talented poet on Wikipedia. Cherry blossoms from Kennington park, Wooden heart, candle – Primark.